This will not be a review in a usual way, only a few words about the movie that I watched last night on Netflix. The reason that made me write this was because of the pretty mean but also infantile comments from IMDb, but especially the fact that it was obvious that these persons proved that, in fact, they did not understand at all the message of the movie and demonstrating only their shallowness. Even literally, the title could refer to the end of the world and not only at the ending of the protagonists’ adventures. Perhaps, a better title, in order to be understood by everyone, would have been “The Initiation”, because this is what the movie talks about. It is about gearing up the son-in-law to make him able to protect the daughter and unborn nephew in this “new” world. I don’t think you wanted the film to veer to “The Walking Dead”, or, by the way in which the set is presented, to a prequel for “The Road”, isn’t it? Is that what you wanted? Psycho rednecks? Zombies? Cannibals running through the landscape with a cleaver in their hands? I do not think so. Then you would have said that the movie is one of many others and it does not bring anything new, right? The basic idea of the movie would be: Do not lose your humanity, but neither your reason. Meaning: don’t do evil deeds on purpose, but also don’t let you trampled by others. To be more specific, here is not about the whole of humanity or solving the general situation, but only about “him and her” as they become fit to survive. The ending is like in the old western movies where the hero rides into the sunset at the end of the film, towards more adventures. Here, they are leaving the storm which represents the danger and driving into the clear that represents hope and new chances. That's what I had to say. As for the movie, I do not think that Netflix, if they wanted more, could not have made a TV series. Would it have been better? Would that have been understood by everybody? I don’t think so; sometimes you just have to think. Therefore, pay attention to the message not only to the raw action. 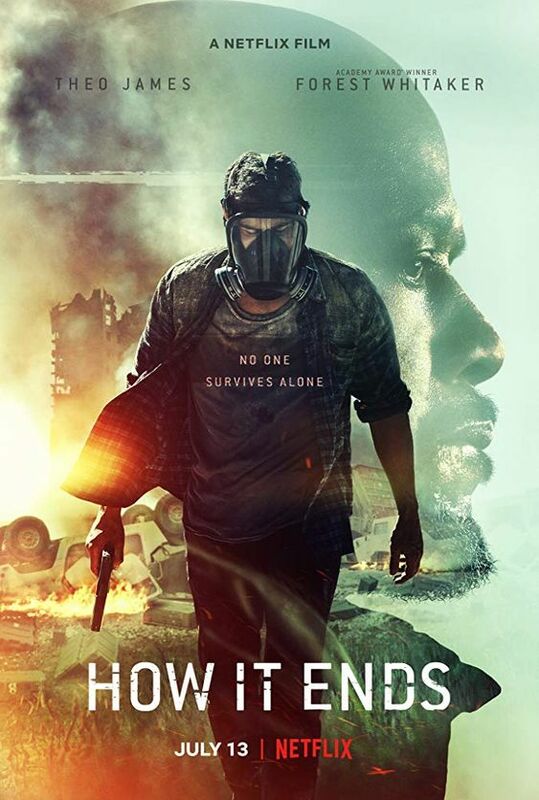 For a TV movie, “How It Ends” is a good one, well acted and I believe that it's worth watching. Therefore my dear, don’t be so hasty. Stop from time to time and think for yourselves. And keep in mind that there are not only subjects and predicates. There are also metaphors! I watched this last night. I'm still thinking about it. The progression of the rocky relationship between father and son-in-law was believable and powerful. Back to the ending, I wished for more. It left a lot open but my son and I did enjoy comparing our own interpretations of it.